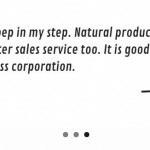 A simple to use responsive testimonials rotator that uses WP’s native text widgets and a sidebar. There are a lot of testimonial plugins out there, but everyone I tried didn’t have the simplicity I was looking for, was too bloated or just didn’t plain work. The Problem: Entrepreneurs and small businesses need a quick easy solution to add client testimonials to their website. It needs to be responsive to suit today’s web and it needs to be simple, because small business folks don’t have a lot of time. The Solution: Don’t re-invent the wheel with a massively powerful testimonials rotator, just use what’s available. Enter Think Up! Testimonials! 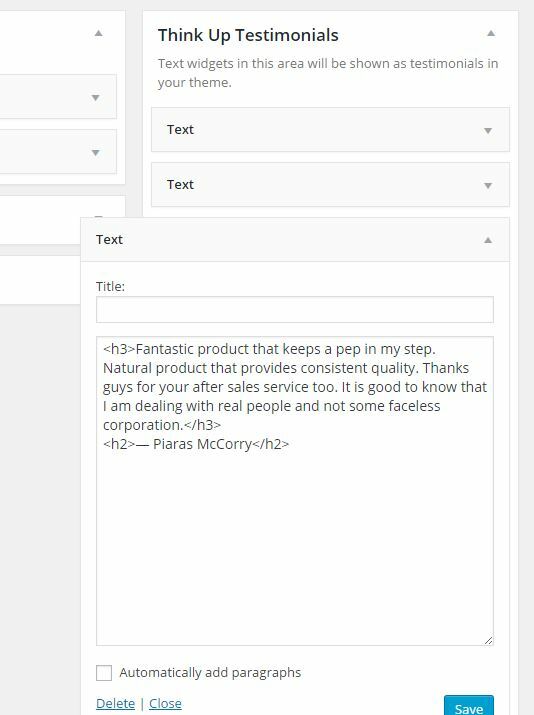 Think Up Testimonials is a testimonial rotator which uses WordPress’ native text widgets and a sidebar created by the plugin. The plugin output is a responsive testimonial rotator (slider) which is powered by the Woo Flexslider JS. 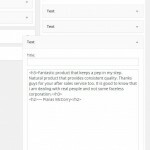 Put your testimonials into individual text widgets with the following markup. Place the text widget into the sidebar called ‘Think Up Testimonials’. To output the testimonial rotator on the front end, insert the function thinkup_testimonials(); into your theme template files anywhere you want the rotator to appear. (It’s not necessary that it be in the WP loop. Front end display of Think Up! Testimonials. Styles inherited from theme. The mountain is the mountain and the Way is the same as of old. Verily what is changed is my own heart. Design is a means toward accomplishing the end goals of serving markets and generating profits. Furthermore, design is an element in social responsibility. Andrew is a total pro at what he does. From Day 1 it was a pleasure working with him. He is timely and thoughtful in his responses, extremely efficient in his work, and the final product was amazing. What else needs to be said?